Google’s first Chrome OS tablet is finally here, and it is called Pixel Slate. If I were to use the cliche, this is a iPad Pro / Surface Pro killer just like the Pixel phone is an iPhone killer. But we are Chrome OS people here, so for us this is not about the iPad Pro or the Surface Go. This is about Chrome OS (or Androidfied Chrome OS). Acer released the first Chrome OS tablet, and HP followed up with a premium convertible. Now, it is Google’s turn to release a premium Chrome OS tablet-keyboard combo. 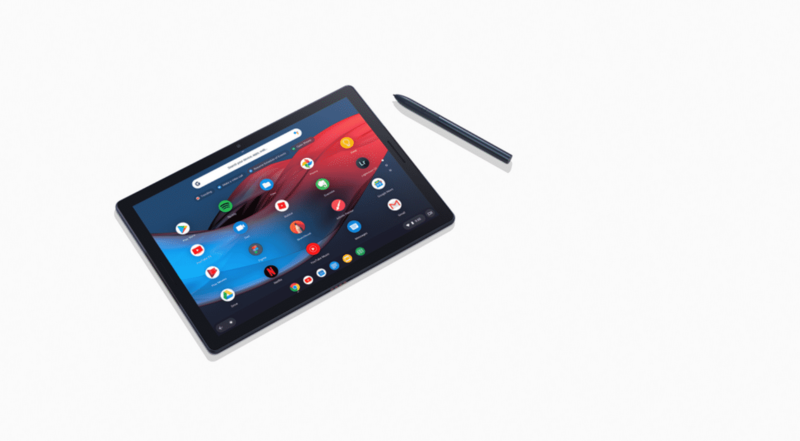 The Pixel Slate is a tablet running Chrome OS, made by Google. 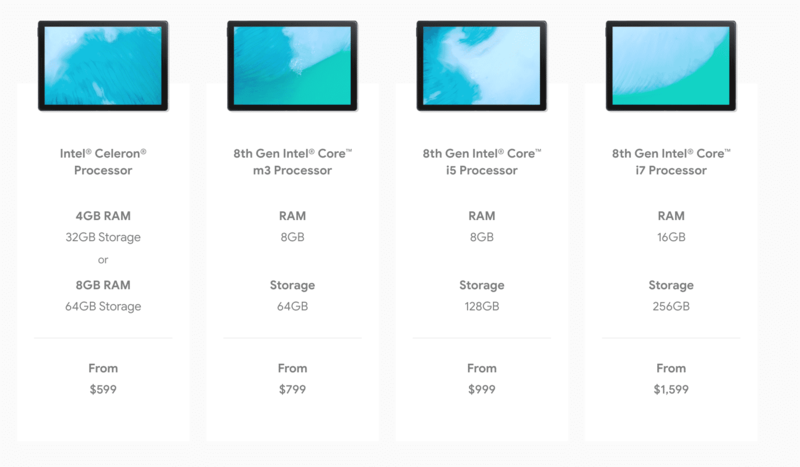 It starts from $599 and goes all the way up to $1599 based on the specs. The tablet features a 12.3 inch display, Intel processors, and is very light and thin at 1.6 pounds and 7 mm. Aluminum body with “Midnight Blue” color. Google will also sell a keyboard/stand, which is priced at $199. I was really happy when they announced the pricing for the tablet, but the keyboard price disappointed me. If I were to buy the Slate, I’ll definitely go for a cheaper third-party keyboard. Hopefully someone will make a good docking keyboard for the Slate for a reasonable price. If not, I can still pick up something that uses the Type C port or Bluetooth. PS: Regular readers of Chrome Story might have noticed that I no longer write much about Chromebooks and tablets. It is a conscious decision. My location makes it difficult for me to get access to the latest hardware, so it has always been near impossible for me to write about Chromebooks. So, Chrome Story will be focusing mainly on Chrome OS, and I enjoy it a lot. You will still see me writing about hardware, occasionally.